Recently, several novel aspects of the renin-angiotensin system (RAS) were described, which potentially may change the therapeutic strategy to treat cardiovascular disease, in addition to enhancing understanding of this system’s mechanism of action. 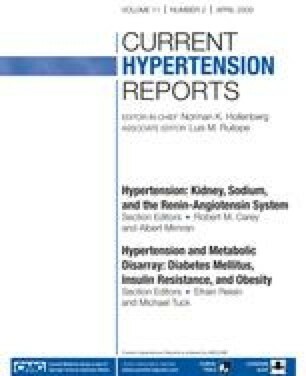 Most notably, identification of a functional intracellular RAS may address several unanswered questions regarding a direct role of angiotensin (Ang) II in cardiac remodeling and incomplete efficacy of angiotensin-converting enzyme inhibitors and angiotensin receptor blockers or superiority of a renin inhibitor in cardiovascular disorders. We describe the physiology of the intracellular RAS, potential pathologic roles of intracellular Ang II, and the relevance of the intracellular system in view of recent clinical trials involving various RAS inhibitors.